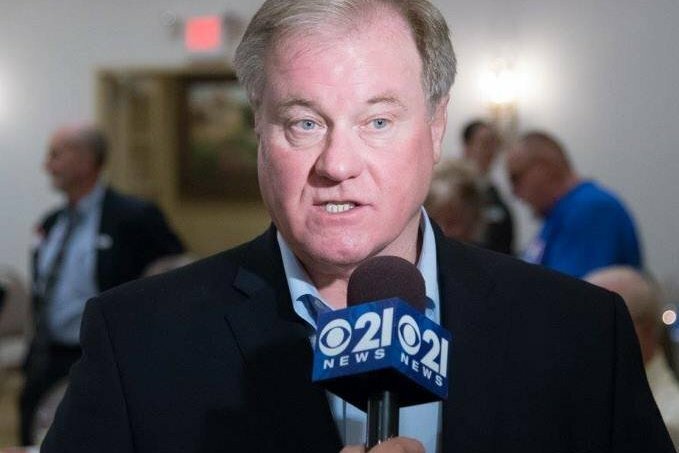 Incumbent Democrat says it's a "political gimmick"
Scott Wagner is calling for Gov. Tom Wolf to debate him in every county in Pennsylvania. Yes, that would be 67 Wolf-versus-Wagner debates in total before Nov. 6. Wagner is requesting town hall meetings to avoid "rehearsed and canned answers" with the Democratic governor. The campaign adds that Wolf may not have to participate in all 67 — lieutenant governor nominees Jeff Bartos and John Fetterman could step in, if need be, the announcement states. “This may be a foreign concept to Governor Wolf, but Scott and I think a lieutenant governor should have a firm understanding of the administration’s agenda and be able to step in for the governor whenever necessary," Bartos said in the announcement. In a statement to PhillyVoice, Wolf spokesperson Beth Melena called the whole thing a "gimmick." "This is nothing but a political gimmick from a Harrisburg politician who is unhinged from the reality of Pennsylvanians, and who routinely ducked the very debates he's now championing during the Republican Primary," Melena said. "Governor Wolf will continue traveling around the commonwealth meeting with educators, parents, and students, workers and business owners, seniors, and families affected by the opioid crisis and listening to the issues Pennsylvanians face every day." Wolf's office cited multiple debates during the Republican primary race that Wagner himself chose not to participate in. Wagner's opponent Paul Mango strongly criticized Wagner for this on multiple occasions, claiming Wagner was "chickening out" because of his "liberal positions on social issues," Mango said in multiple Facebook videos. Wagner participated in 12 debates/forums during his primary campaign, his office told us. Wagner defeated two Republican opponents, Mango and Laura Ellsworth, capturing 44.3 percent of the vote in the May 15 primary. The race generated a lot of petty attacks — on all sides. Let's hope the gubernatorial race isn't much of the same. We're not holding our breathe. This article was updated after it was published with the total number of debates Scott Wagner attended.